We are pleased to offer both regular and custom quilting from our two Gammill Staler-Stitcher machines. 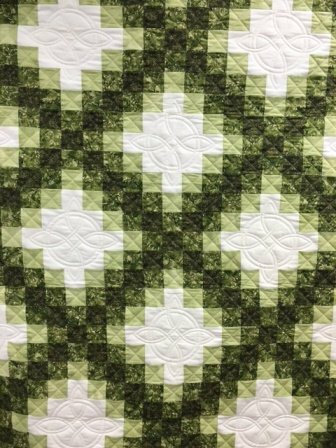 Our custom quilting allows room for creativity; give us your design idea, or leave it to our choice. We’ll do our best to make sure your quilt is finished finely with flair! Larger than King carries an additional charge of $25. Average turnaround is about thirty days. Less than 30 days incurs a $ charge. Custom Quilting turnaround is 3 months.